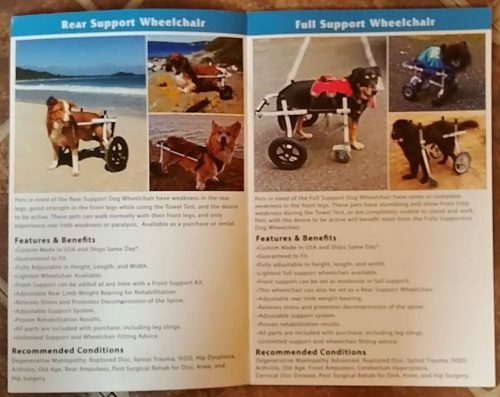 Custom made by the world’s top dog wheelchair manufacturer K9Carts.com. 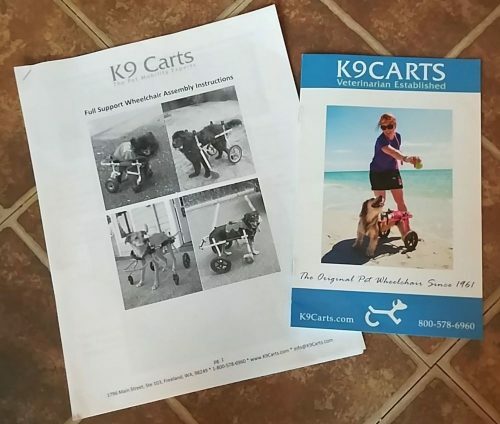 Go to k9carts.com for video demonstration and full specifications. Made with high quality aluminum framing, is suitable for a small to medium size dog. Originally purchased for my 12 year old pomeranian after leg surgery. 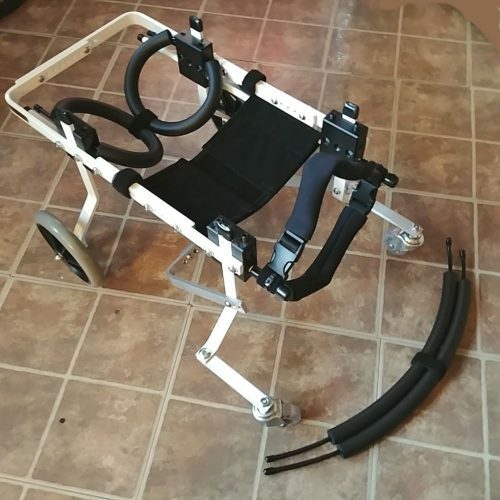 Can be converted for front leg support, rear leg support or full body support. Includes spare hardware and accessory straps for neck and front legs. Full documentation and assembly instructions included. Call or text Stephen in Sarnia, Ontario at 519-333-8499.